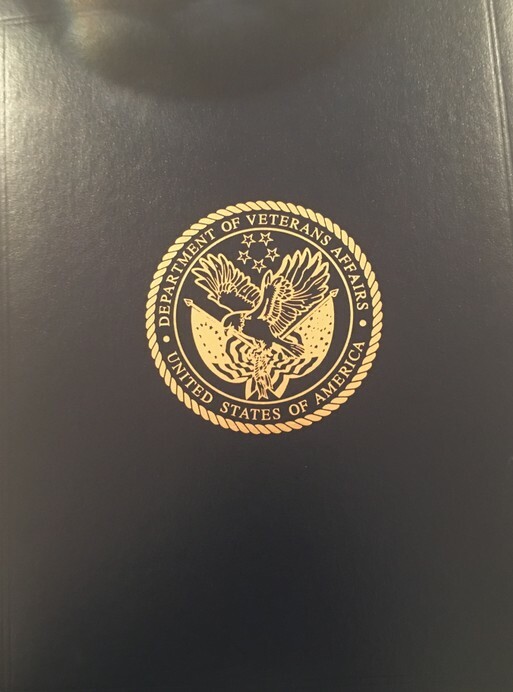 I have enjoyed working for the Department of Veterans Affairs and always tried to do the best job possible. I have been blessed to have a great boss in Rick Thompson and work with a lot of great people. 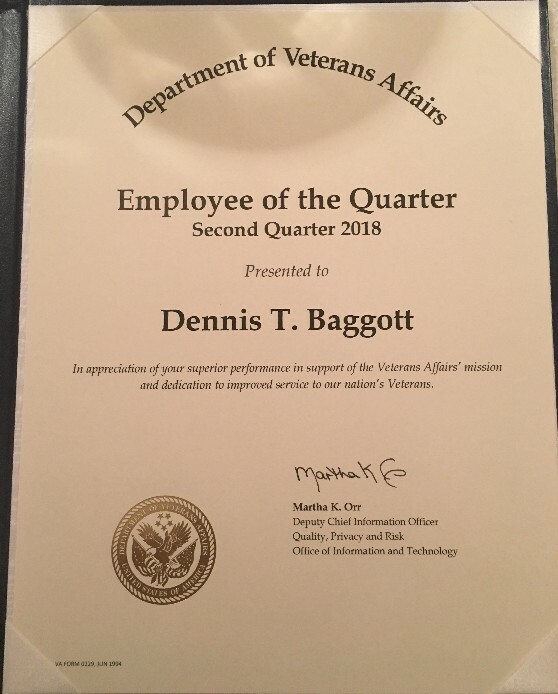 Recently, I was nominated for the Employee of the Quarter for the VA, Quality, Privacy and Risk division and was proud to be selected since I know the competition included a lot of very talented and hard working people. 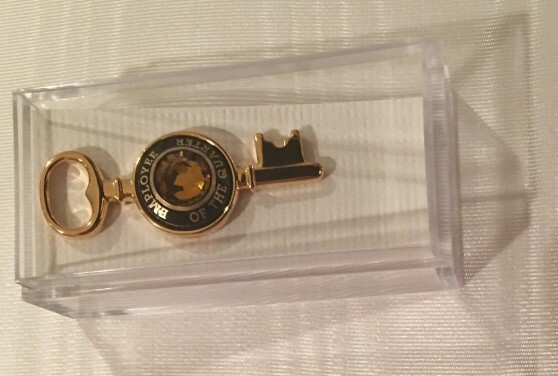 Today (May 23, 2018) a beautiful certificate and pin arrived at my door and I just had to post some images. My thanks go to Rick Thompson, Pat Hampton and Martha Orr. I didn't even have to buy a frame. The certicate came in a beautiful portfolio.